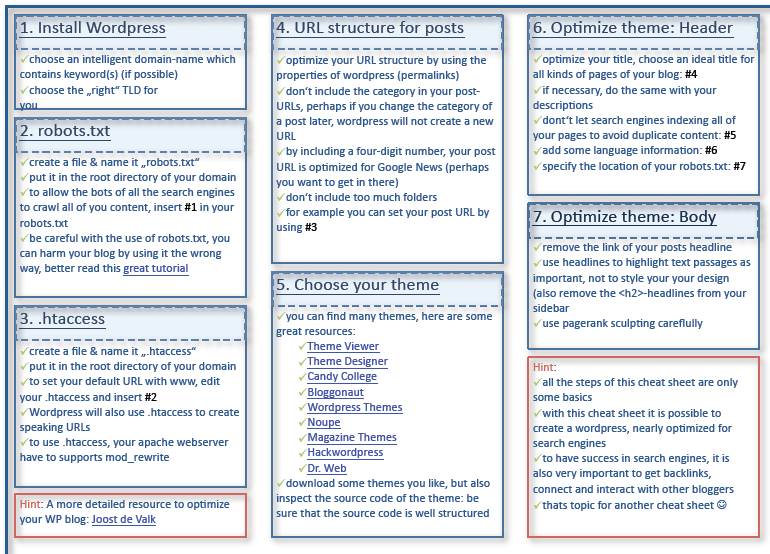 WordPress SEO Cheat-sheet: many online business owners take advantage of WordPress to manage their content online. This powerful SEO cheat-sheet shows you how to optimize your WordPress site for the search engines. 15 Minute SEO List: contains over 70 factors that you may want to pay attention to get your website higher in the rankings (or at least give it the best chance to go higher). 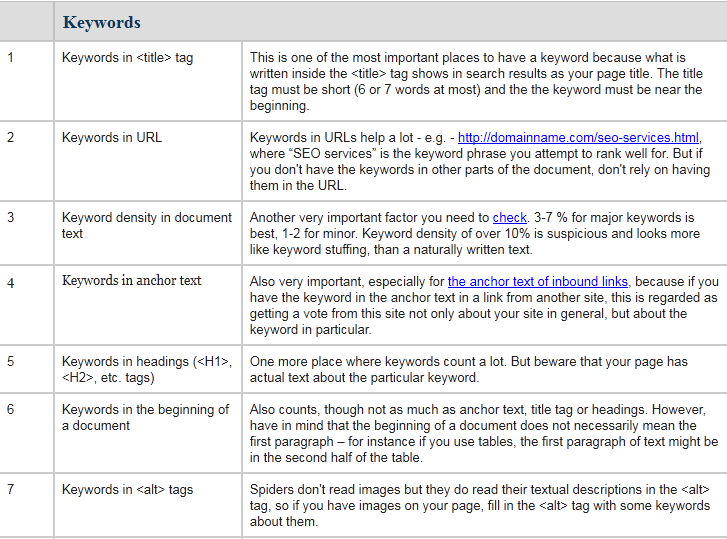 The On-Page SEO Cheat sheet: the perfect cheat sheet to go over if you have trouble figuring out what it takes to optimize your site’s on-page factors for the search engines. 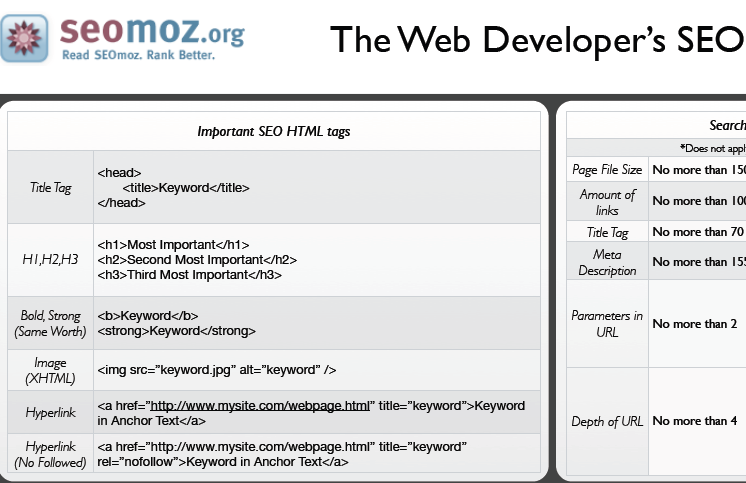 The Web Developer’s SEO Cheat sheet: developed for those of you who know a thing or two about coding. It shows you how to tweak your code and optimize it for the search engines. 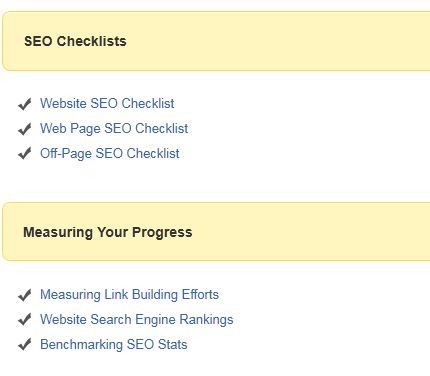 SEO Audit Checklists: this may not be a cheat-sheet per se, but it contains check-lists you can take advantage of to figure out what are the things you should be doing to further optimize your pages for the search engines. These SEO cheat sheets won’t make you a guru in this field. But they can save you time getting a crash course on SEO. Any suggestions? Please share your favorite SEO cheat sheets below.